“Surrender now and you will be treated by the rules of the Concilium Convention. Otherwise, you will die. We are the dividing line. Behind us, there are our people. Our mission is to protect them. That means you will never get through. At this point, you get to decide your fate.” Bayar Korel, Amir (officer) of the Sekban unit. Defense of the Marzuqah Caravansary. Peak of the NeoColonial Wars. 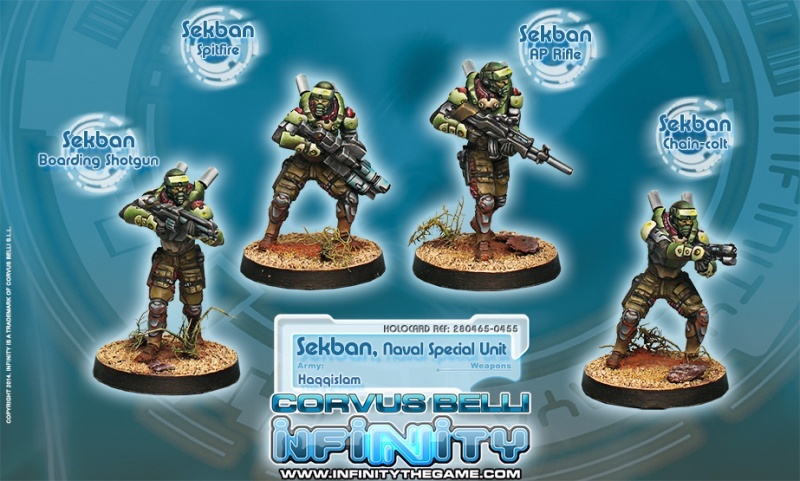 The Sekban Unit was created by the Sultan as a regular voluntary corps to serve as a defense force for Haqqislamite orbitals and caravansaries. The voluntary character of the unit was the reason it received the name of the old irregular musketeer regiments of the Ottoman Empire, which also used volunteer troops. 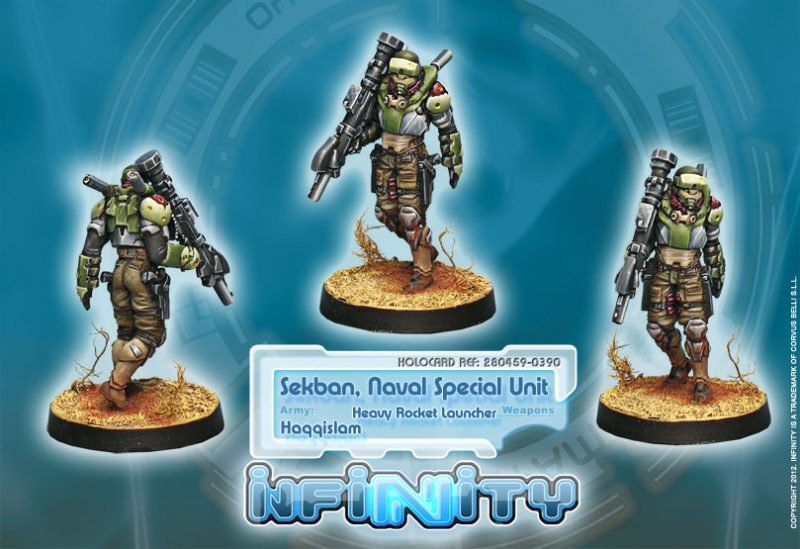 Initially, the Sekban were a garrison unit, without a calling or training as an elite force. Its members were expected by the High Command and the general population to serve as a deterrent for pirates and raiders, and little more. But that changed with the tragic events of the Silk Revolts. 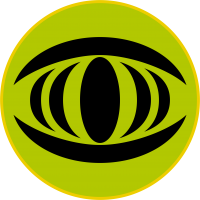 When dissident Silk traders turned against the government after Hachib Mudassar decreed strict fiscal reforms, and used their vast resources to hire mercenaries to consolidate their power base, the Sekban remained firm and loyal. All the money in the hands of those who wanted to establish a plutocracy and oppress their families and neighbors could not buy the loyalty of a corps steeped in Haqqislamite ideals and with a duty to defend. The Sekban fought hard and fought well, often isolated in remote caravansaries in distant systems, without the possibility of receiving reinforcements or support. They obtained many victories, but they also suffered defeats. The worst of them was when, despite their sacrifices, they were outnumbered and failed to avert the Al-Umara Station Massacre. The Silk Revolts left their mark on this unit, and changed it forever. When the revolts ended, they were no longer a garrison unit, but a veteran corps that could stand up to anyone. 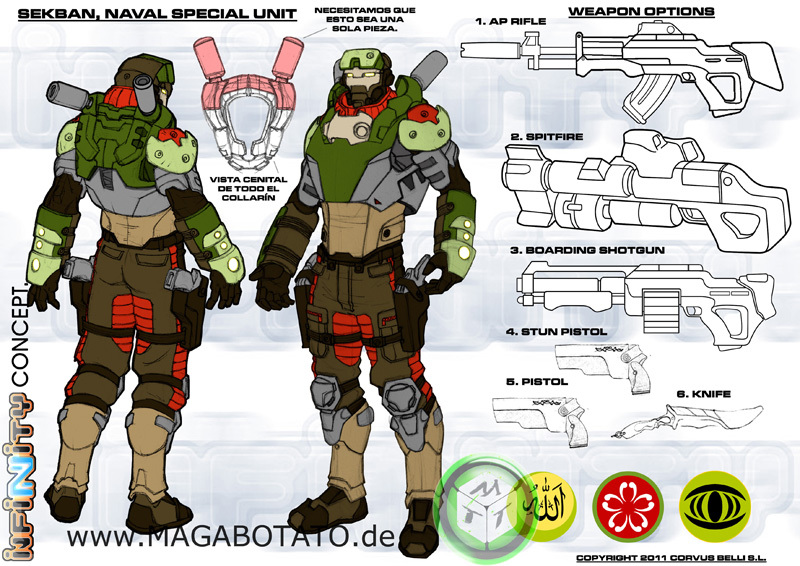 The Sultanate rewarded their loyalty by transferring them to the Special Operations Command, where they were rebuilt as an elite assault unit. Although members are still recruited from among the civilian population, candidates now have to endure an extremely severe training, because the Sekban Unit will not allow a slaughter of innocents like the Al-Umara Station Massacre to happen again while one of its members still stands. This page was last modified on 3 April 2018, at 07:53.